US Customs and Border Patrol argues that the social media checks will be used to expedite visa applications; but their logic is hard to follow. Foreign travelers to the United States must already navigate a severely backlogged visa application system, where travel visas to the US can take weeks to obtain; Chinese travelers in 2011 reportedly waited as long as two months to obtain a travel visa to visit America. How such a system would serve the national interest is unclear; how it would be expedite an already over-crowded application system by adding a requirement that border patrol officials screen millions social media accounts for … something… is unfathomable. And indeed, we are talking about millions: the US Customs and Border Protection press statement announcing the new, proposed social media check of Chinese travelers estimate that roughly 3.6 million travelers would be affected. More fundamentally, it cannot and should not escape our attention that the travelers who face this sudden and arbitrary invasion of their online privacy are predominantly travelers of colour. The United States has a long history of enacting exclusionary immigration laws to specifically target people of colour. In 1875, the United States passed the Page Act, the country’s first exclusionary immigration law, which specifically targeted “undesirable” Asians from entering the country to work as unskilled labourers or prostitutes. In practice, the Page Act was used as a legal justification for racial and gendered profiling of Chinese women to exclude them from immigrating to America, under the presumption that all Chinese women were arriving as prostitutes. Seven years later, the sweeping 1882 Chinese Exclusion Act was passed effectively ending all Chinese immigration into the United States on the basis of race and national origin. These and other anti-Asian exclusionary immigration laws would remain in effect for more than the next half a century. Since passage of 1965’s Immigration and Nationality Act, which eliminated immigration quotas based on race and national origin, the government has ostensibly ended policies of racial bias at the nation’s borders. In reality, however, we know this not to be true: immigrants and travelers of colour routinely face racial profiling and discrimination at the border. Throughout the Bush and Obama eras, Muslim immigrants and visitors endured overwhelming scrutiny by federal officials, including the controversial National Security Entry-Exit Registration Systems (NSEERS) program first implemented by the Bush administration and which essentially served as a national registry of Muslim and North Korean adult men in America. At the time NSEERS was formally dismantled by President Obama in 2011, three years into his presidency, it had failed to lead to a single terrorism conviction. With the election of Trump, racially motivated scrutiny at the United States’ borders appear to be on the rise. Trump rode into the White House on a wave of xenophobia, nativism, Islamophobia and Sinophobia. On the campaign trail, Trump inflamed racial tensions by invoking stereotypes of communities of colour, and promised to institute a wholescale ban on Muslim immigrants. Within his first 100 days in office, Trump has twice passed executive orders attempting to enact an anti-Muslim immigration ban; both efforts have been stymied by legal challenges in federal court. These bold efforts to outright racially exclude entire classes of people from entering the United States overshadow the Trump administration’s lower-profile efforts to implement measures that will frustrate contemporary “undesirables” who seek entry into America; but make no mistake, it is these kinds of policies that subject people of colour to unreasonable administrative minutiae that have historically proven most effective in haranguing and marginalizing us. The 1882 Chinese Exclusion Act was preceded by decades of local, state, and federal laws passed to target Chinese American immigrants with laws and taxes against foreign gold miners, Chinese-run laundries, and hairstyles worn in the traditional Chinese queue. Today’s proposed implementation of a social media check against Muslim and Chinese travelers is a policy in the same of vein creating an environment so intolerant and frustrating to “undesirable” travelers as to discourage their travel to the country; and, like the racist anti-Chinese laws of the late 1800’s, social media checks of Muslim and Chinese travelers are as unconstitutional as they are racist. All people should have a reasonable expectation of online privacy from the state, and people of colour should not face disproportionate requirement to expose their personal opinions to the scrutiny of the United States government. 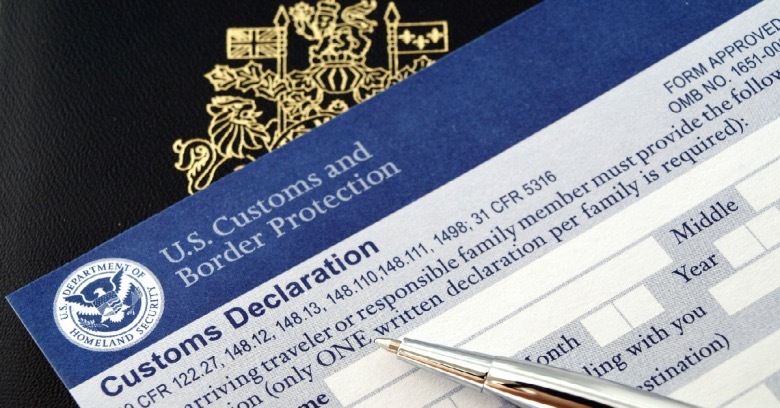 Foreign travelers to the United States should not be selected for, or against, access to the country based on how they use social media, and such a policy should not be disproportionately applied against travelers from some countries compared to others; this sort of policy can only be implemented by institionalized racial profiling, and can only invite invasions of privacy and viewpoint discrimination against specific classes of travelers. On this latter point, the government has not made it clear what exactly they are screening for in a traveler’s Facebook or WeChat account. Will the United States only grant travel visas to travelers who express praise for the American government? Will they throw up roadblocks against travelers who criticize American public policy? How many cute kitten videos must I post on my Snapchat for my travel visa to the United States be expedited? Earlier this month, Asian Americans Advancing Justice (Advancing Justice) took up the cause against US Customs and Border Protection’s efforts to implement social media checks against Chinese travelers to America. They have created a joint statement signed by over thirty civil rights organizations opposing the social media checks at the border. Advancing Justice stands against the wholesale targeting of people and believe this policy would exacerbate race, religion and national origin-based profiling. People of Chinese and Asian origin have long faced exclusion, surveillance, and targeting by the U.S. government, and this policy would serve as yet another example. CBP’s adoption of such a policy would only fan the flames of anti-China and anti-Asian sentiment in the U.S., which is already on the rise. The bottom line is that racial or religious profiling has never been and will never be an effective national security tool. US Customs and Border Protection’s proposed Chinese social media checks is not final, and the proposal is currently open for public commentary. Therefore, Advancing Justice has joined several other civil rights groups in launching two parallel letter-writing campaigns — one in Chinese and one in English. The deadline for participating is Monday, April 24th. I encourage all activists within the Asian American and Pacific Islander community to take a minute to go to these websites today and to send a letter in the language of your preference (Chinese or English), expressing your anger at social media checks of Muslim and Chinese travelers. Alternatively, you can go directly to the US Federal Register website, and follow the instructions to send US Customs and Border Protection your commentary. Racial profiling and invasions of online privacy are unacceptable. Please take a minute to support action against the government’s efforts to target Muslim and Chinese travelers with social media checks.